Dr. Lynn Bahr knows what cats like. 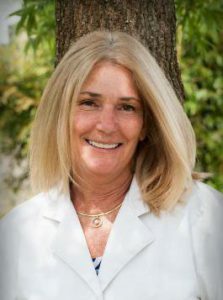 Adventure Cats is all about enriching the lives of our feline friends, so when we discovered that veterinarian Dr. Lynn Bahr shared that mission, we were eager to learn from her. We recently chatted with Dr. Bahr about the cats that changed her life, Dezi & Roo’s mission and how cat owners can help their kitties live nine lives to fullest — both indoors and out. 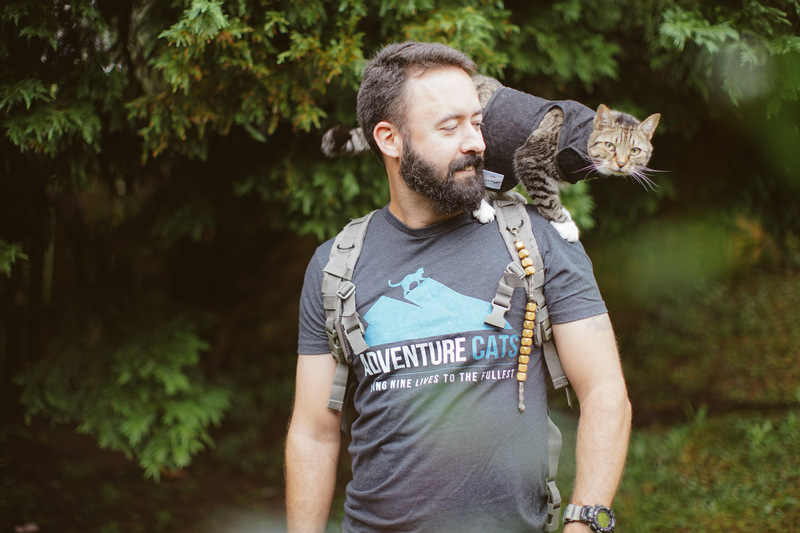 Adventure Cats: How did you become a cat lover? Dr. Lynn Bahr: It was on July 4, 1980 during a record heat wave in Atlanta, Georgia, when I first discovered a litter of kittens in the bushes underneath my apartment balcony. The temperature had reached 105 degrees, and I scooped the kittens up and brought them in, along with their stray mother, never realizing how fateful that day was and how it would change my life forever. Having grown up with dogs, it wasn’t until I opened my home to these homeless babies that I realized how wonderful cats truly are. I bonded strongly with one adorable, gray-and-white male I later named Rudolph, and life was never the same for me again. Rudolph was an extraordinary feline who taught me everything I needed to know about cats, and he guided me to pursue a career in veterinary medicine. While veterinary school taught me how to diagnose, treat and heal cats, Rudolph was instrumental in schooling me on how to listen, touch, play and speak properly with them. And while Rudolph prompted my career as a veterinarian, my two current cats, Dezi and Roo, are the muses behind my newest venture. 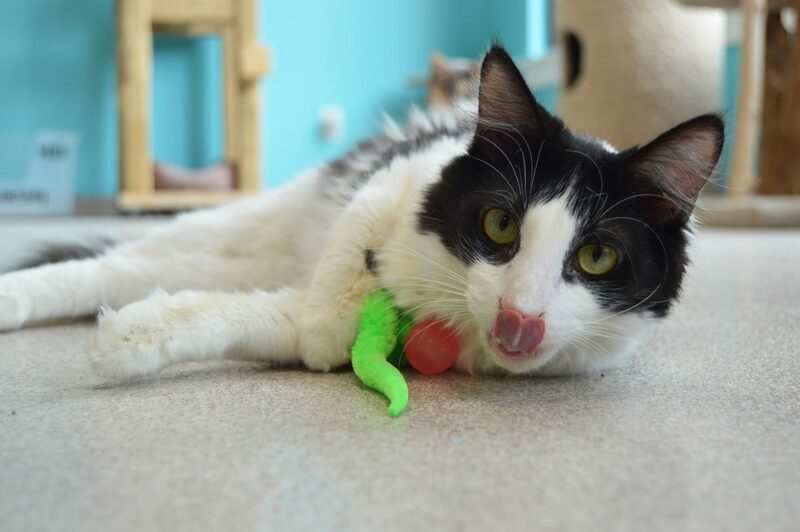 Indoor cats need enrichment to live full, happy and healthy lives. Adventure Cats: What inspired you to start Dezi & Roo? Dr. Lynn Bahr: Over the past several decades, the veterinary profession has done an excellent job of educating cat guardians on the benefits of keeping their kitties indoors: They live longer, they’re safer, and the bond they share with their owners is stronger. However, this new lifestyle of cats living exclusively within four walls is also the root cause of many behavioral and medical problems. I have witnessed firsthand the effects this has had on my patients — both good and bad — and how cats’ environments strongly influence their health and wellbeing. Seeing a lack of good resources for my clients inspired me to create products that specifically address the needs of indoor cats to help keep them happy, enriched and healthy. 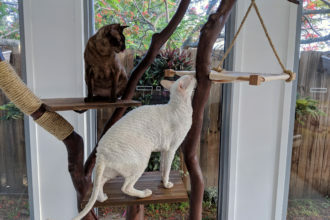 Having two house cats of mine own opened my eyes to the difficulty of keeping them active, fit and entertained, as well as the need for good, quality cat products. Frustrated by the scarcity of effective enrichment toys and the need for better information and advice on keeping cats happy indoors is the reason I founded Dezi & Roo. Now I am able to educate people on a larger scale than I could in the exam room on ways to enrich cats’ lives and to provide them with the tools necessary to do so. Dezi & Roo makes exceptional products that not only make cats happy, but by doing so, we help strengthen the animal-human bond. Indoor kitties need plenty of opportunities to play. Adventure Cats: What are some of the challenges and rewards of working with felines? Dr. Lynn Bahr: Cats are wonderful and I love everything about working with them and the people who love them. I couldn’t image doing anything else in life. In veterinary medicine, the biggest challenge we have is the inability to communicate properly with cats. It’s a mutual challenge since they cannot tell us how they feel or what is going on and we cannot reassure them that we are simply trying to help. It is difficult to soothe cats’ fear and anxiety when at the same time we are poking, prodding and sticking them with needles. Another important challenge we frequently face is having enough time and resources to fully address both the physical and psychological wellbeing of our patients in the short timeframe of an exam appointment. Now that cats are being kept indoors, it is equally important to focus on their mental health since it correlates strongly with their physical health. The obstacles I encounter as a feline-enrichment specialist are quite different than those I encounter as a veterinarian. While I am no longer dealing with immediate crises that border on life or death, I still struggle daily to heal as many cats as I can. Only now I do it through enrichment. My current challenges revolve around finding the best ways to advocate on behalf of indoor cats by making great products that help them cope with life confined inside. Reaching out to cat owners who want to be better pet parents and giving them the tools to be successful is the most rewarding part of what I do. 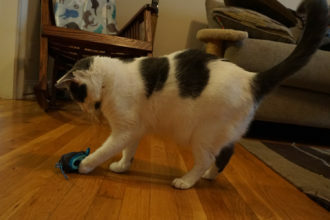 Every time we send an order out or receive a picture of a happy cat enjoying our toys we are elated. It makes doing what we do fun and worthwhile. Sirius enjoys exploring the wilds of the backyard. An exclusive indoor lifestyle is unnatural for any living being. 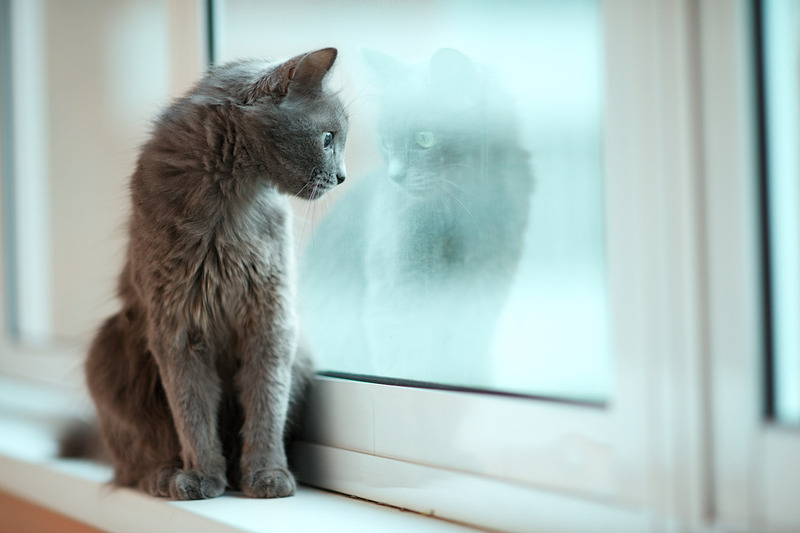 There are very few people who would enjoy living their entire life within four walls, and cats are no different. 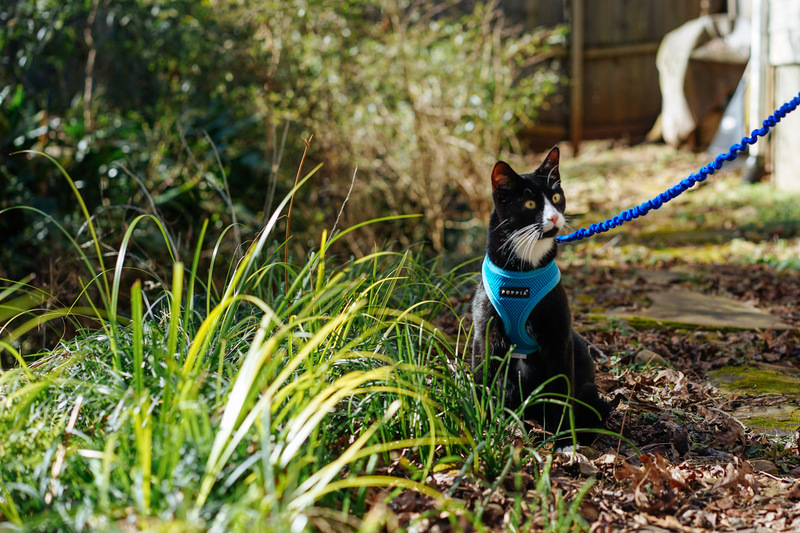 Adventure Cats: How can cats benefit from spending time outdoors? Dr. Lynn Bahr: As long as they can do so safely, I believe cats benefit tremendously from spending time outdoors. Having access to fresh air, sunshine and grass are the simple, yet necessary pleasures of life. I worry a lot about cats living exclusively in environments with artificially controlled temperatures. They are surrounded by air conditioning during the summer and heat in the winter. I’m concerned that what they smell all day is limited to items in the home and the chemicals that we use to keep our clothes, linens and household clean. Scent is one of the most important aspects of a cat’s life and our indoor felines don’t get the opportunity to experience plants, grasses, soil or the smells of their neighborhood. Direct sunshine is extremely important, and many housed cats only experience it through windows. Given the opportunity to go outside safely would greatly enhance the life of our precious pets, but, unfortunately, this is not always possible. That is why I started Dezi & Roo and why I am so committed to teaching cat owners about the many ways in which they can bring the outdoors inside. I make sure that my own cats have plenty of opportunities to feel like they live in the great outdoors. I grow grass for them weekly and open windows daily, and we have a screened-in porch, and we play multiple times a day. I bring sticks, leaves and branches from the outside in, they have towers to climb on and Hide and Sneaks to burrow in. I bring new toys out regularly and have multiple scratching posts in every room. My cats forage for food and eat a varied diet. Their lives are as enriched as possible for two cats that never go outdoors. Adventure Cats: What advice do you have for cat owners who are considering taking their cats outside? Dr. Lynn Bahr: My first piece of advice is safety first. Restrict access to potential dangers like busy roads or unfriendly dogs and neighbors. It is important to make sure cats are microchipped and vaccinated. Flea control, along with heartworm preventives, is essential. Only let your cat out under supervision and during full daylight since most predators feed at dusk and dawn. Getting cats into a routine of eating canned food every day at the same time each afternoon will help to habituate them to come indoors on cue. If allowing your cat to go outdoors is not safe, then don’t let them. You can still give them a taste of the outdoors by leash walking or with catios, screened-in porches, easy DIY window units, fenced yards, or by taking walks enclosed in strollers. There are many creative ways in which to buy, build or create solutions that allow indoor cats to experience grass, fresh air and sunshine, and all indoor cats should have the ability to do so. Fiver takes a break from running in and out of his Hide and Sneak. 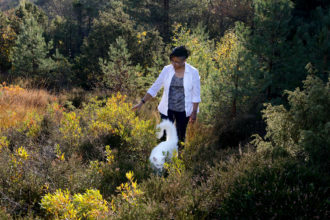 Adventure Cats: What are some other ways cat owners can enrich their pets’ lives? Dr. Lynn Bahr: There are infinite ways cat owners can enrich their cat’s life. The hard part for most owners is in following through and making it a daily habit. Allowing cats to express their natural instincts should be a priority in every feline household, and it is my philosophy that every day should be new and exciting for our confined kitties. I subscribe to the motto of “variety is the spice of life.” That means new toys, games, activities, experiences and opportunities to play, hunt, chase, climb, jump, explore and rest. 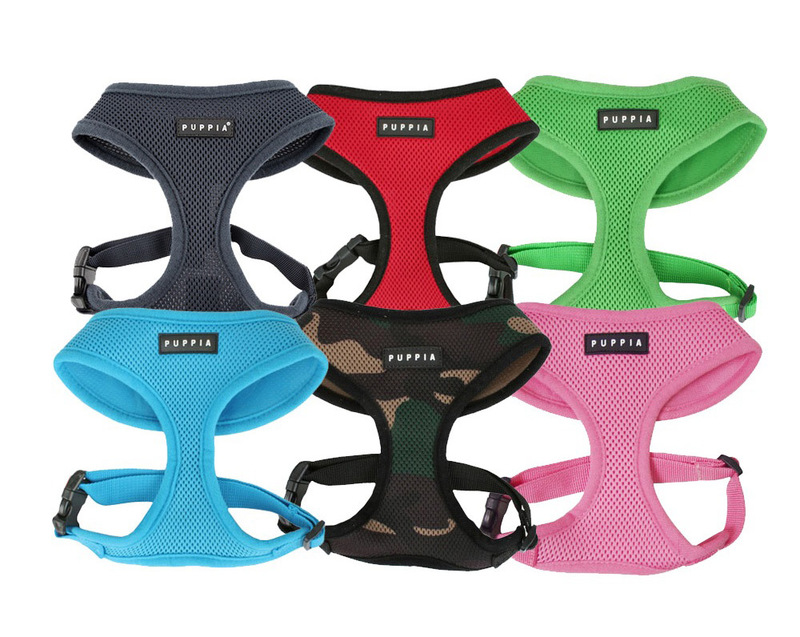 At Dezi & Roo, we specifically design products to be innovative, unique and effective for helping cat owners keep their loved ones enriched and occupied. 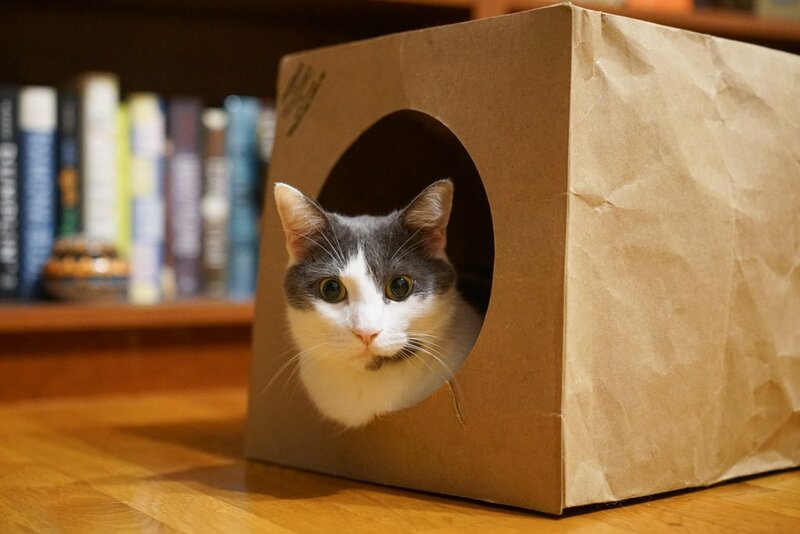 Our Hide and Sneak allows cats to naturally exhibit their true nature by combining the three things they love most: cardboard boxes, paper bags, and tunnels. Our Wiggly series of balls mimic prey and entice cats to run, jump and chase. Cloud Nine is an olfactory form of enrichment similar to catnip and gives them something to enjoy that is different. 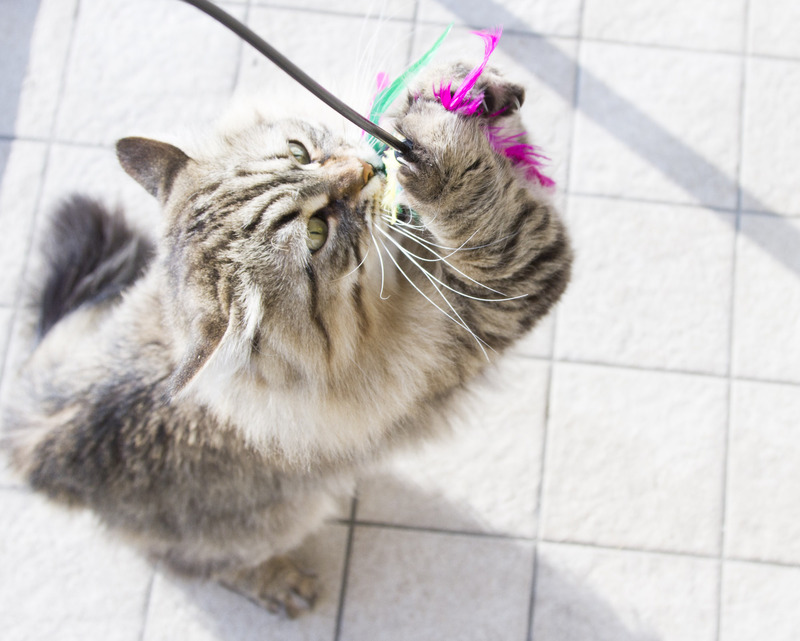 Discovering new ways to enrich cats’ lives is as simple as rotating toys daily to prevent boredom and making sure they have cool places to hide in and safe high places to climb. Scratching is basic and essential for all cats and they need the chance to scratch on lots of different types of posts and all around the house. It’s important to develop systems that encourage housecats to forage for food and to promote activities that stimulate their minds as well. Most important is the necessity to physically play with your cat daily. They are natural lean, mean, hunting machines and need exercises and activities that feed their minds and their bodies. Like people, all cats are different and have their own unique preferences. Allowing cats opportunities to make choices in their lives greatly enhances the quality of their lives. Once people become aware of how tightly they control their cat’s environments, it opens the door for change. By giving our furry creatures the ability to show us their own unique preferences, the easier it becomes to fulfill them. Indoor cats have limited opportunities to express their true nature, but owners can help them and they should. 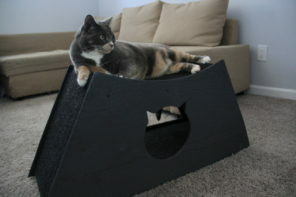 It will not only make indoor cats happier but it will also strengthen the bond owners have with them. Owners are happiest when their cats are well adjusted, happy and healthy. Cats who sleep all the time, who have no interest in playing or who are finicky eaters may all be showing signs of a boring, unenriched environment. 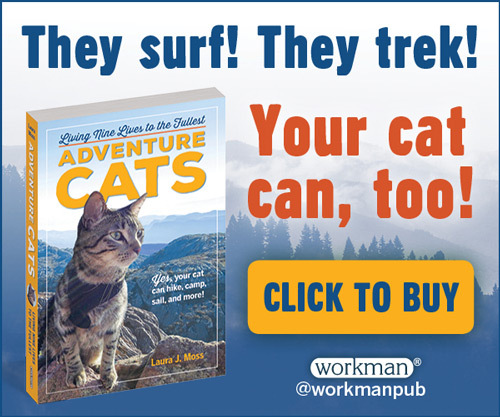 Adventure Cats: Do you have any other advice to share? Dr. Lynn Bahr: My last pieces of advice centers on helping owners understand that their indoor cats need more than food, love and shelter. While a basket of toys is great, it isn’t even enough to make life interesting. Cats require a lot of added enrichment and more choices in order to stay healthy physically and mentally. While it does take considerable work and effort to be a responsible pet parent, watching our furry loved ones flourish and enjoy their life indoors makes every bit of it worthwhile. It’s a privilege and a joy to be a pet guardian and one of the greatest experiences of life. Providing a home filled with enrichment is not only a responsibility, but it’s also necessary to keeping our furry loved ones happy and healthy. 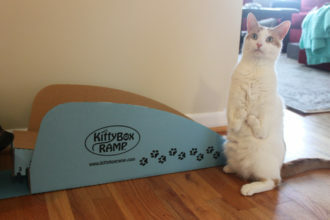 Visit deziroo.com to learn more about Dr. Bahr and her one-of-a-kind cat toys.